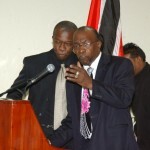 The Trinidad and Tobago Football Federation (TTFF) admitted culpability this morning for the Haiti financial aid scandal reported exclusively by the UK Sunday Times and confirmed by Wired868.com on 12 February 2012. However, Minister of Works and Infrastructure and ex-FIFA Vice President Jack Warner was fingered as the only person responsible for missing emergency aid money—estimated at $4.4 million (US$690,000)—that should have gone to the Federation of Haiti Football (FHF), two years ago. In a sensational split that may signal a change of direction regarding its former special advisor, the TTFF admitted to allowing Warner authority over its LOC bank account that also held key financial transactions such as television rights, sponsorships and World Cup-related revenue. 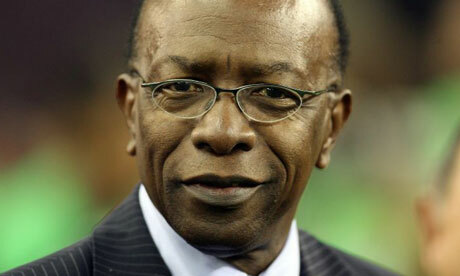 Warner’s inordinate power over the TTFF finances occured under the guidance of its former president Oliver Camps, who resigned in October while being investigated by FIFA for his role in a Caribbean Football Union (CFU) bribery scandal that also prompted Warner’s exit from the global body and the expulsion of Asian Football Confederation (AFC) President Mohamed Bin Hammam. “The TTFF acknowledges it is aware of funds made available by both FIFA and the Korean football federation for the football victims of Haiti’s devastating earthquake in 2010,” stated TTFF Press Officer Shaun Fuentes, in a release. 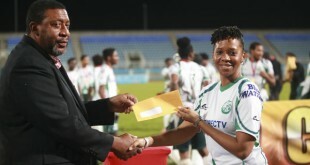 “However, we are unable to confirm the quantum of funds received, as these monies did not go into the account used by the TTFF administration for its day to day operations, but instead to the TTFF’s LOC Account as was requested by Mr. Jack Warner, the former vice president of FIFA and special advisor to the TTFF. The TTFF further stated, as became evident in a High Court bonus dispute between 13 World Cup 2006 players and the federation, that Warner is a law unto himself and refuses to account for his financial actions regarding money earmarked for the local game. And, in this case, the United National Congress (UNC) chairman allegedly ignored requests for information on funds meant for Haiti after the earthquake that killed 316,000 persons including over 30 football officials. 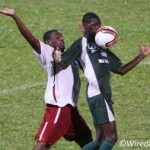 The local football body confirmed too that FIFA has withheld from the TTFF its annual subvention of $1.6 million (US$250,000) as a result of the scandal. “The TTFF realises the final responsibility for any account in its name lies with us,” stated the release, “but confesses that it surrendered its authority to Mr Warner, who has been for more than three decades a larger than life figure in national and international football and was a trusted agent and member of our organisation. “We never questioned his authority or actions and are now in a position of despair as we are starved of funds by FIFA until full disclosure, which we are unable to provide without Mr. Warner’s input. South Korean businessman Chung Mong-Joon and FIFA sent $4.76 million (US$750,000) to Trinidad, on Warner’s request, to be disbursed to the impoverished Caribbean island. Mong-Joon, who is also a former FIFA vice president, donated $3.2 million (US$500,000) while FIFA wired $1.6 million (US$250,000). 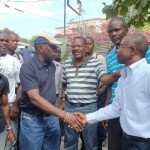 However, FHF President Yves Jean-Bart told the Sunday Times that only $381,000 (US$60,000) reached Haiti. FIFA has since sanctioned the TTFF and blocked Warner’s pension, which was reported to be as much as $230,000 (US$36,238) per year and payable until he turns 96-years-old. Warner, in an interview with CTV, dismissed the article as a “foolish report” and hinted that the article was part of a conspiracy against him. The Chaguanas West MP suggested that he was insulated from the press. “There is nothing anybody could say or do to make me look bad anymore,” said Warner. 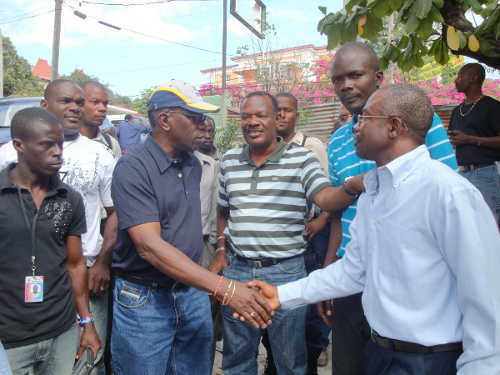 “Everything that has been said about Jack Warner has been said. Everything that has been written has been written and I still continue to do the people’s work. It is not the first time that Warner was accused of trying to cash in on Haiti’s plight. 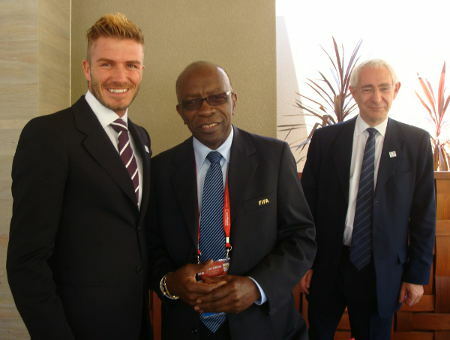 Ex-FIFA VP and MP Jack Warner (centre) is flanked by former England football captain David Beckham (left) and ex-FA chairman Lord David Triesman. 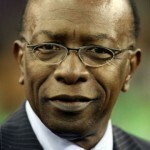 Warner subsequently admitted, on 29 December 2011, that he received the Caribbean’s television rights from FIFA at the price of just US$1 for over a decade. Thus far, the TTFF has paid the price for Warner’s alleged indiscretions. On 8 February 2012, a court-appointed marshall, on behalf of the aggrieved World Cup players, raided the TTFF headquarters and seized all removable assets due to its failure to make an interim payment of $4.6 million (US$724,000) that was due to the “Soca Warriors” since October 2011. In the Port of Spain High Court on Tuesday, Justice Devindra Rampersad accused TTFF General Secretary Richard Groden of a “dereliction of duty” and warned that he may hold the body in contempt of court if it did not initiate strong legal action against Warner by Friday. A TTFF insider suggested, on Sunday, that the body would soon respond to the Haitian aid scandal but, instead, silence reigned for four days until roughly 1.30 am this morning as the executive committee grappled with a bleak future. The TTFF, on the cusp of “very serious consequences” from the High Court, now appears to have finally broken ranks with its former special advisor. Jack, to quote John Lennon….how do you sleep? If this is true… how low can you go Jack……. Hmmmm full circle,Jack and his son’s never added up to me,or should I say they added up very well to my suspicions,sick and sad case,poor Maureen. The revelation by Lord Triesman that Warner requested financial assistance on behalf of Haiti to be channeled through him, does not seem so far-fetched, after this report on the unaccounted funds meant for Haiti. Wow!This is serious! Kudos to the judge for finally giving the TTFF an ultimatum and forcing their hand.